There is nothing like homemade or freshly made corn tortillas. 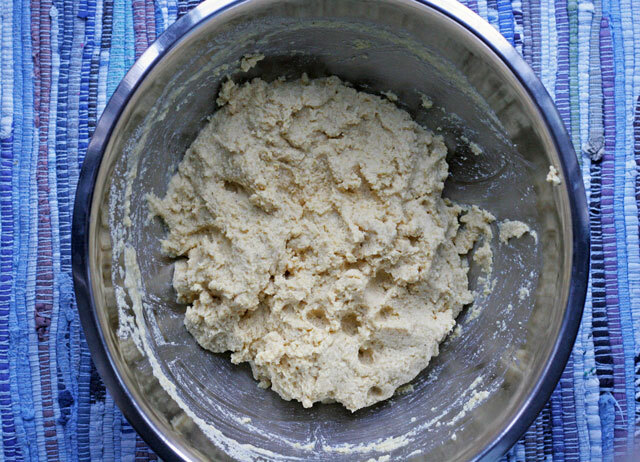 I made the masa once, here, from the very beginning, as in I made the nixtamal. Dried corn is mixed with Cal (lime) and cooked until it softens which is then ground. Typically it is ground in a mortar and pestle. The cal releases the nutrients in the corn, which makes it edible and healthy! Especially if you start with non GMO organic corn or masa. This time around I bought organic yellow masa harina. 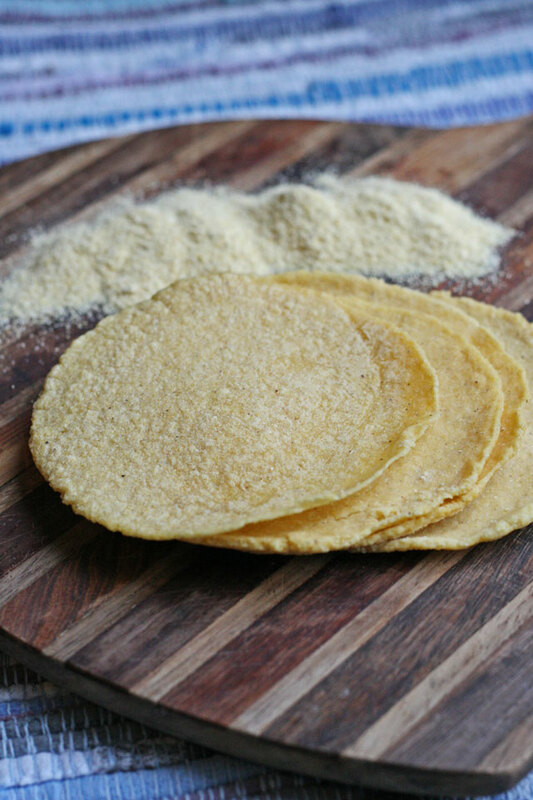 Super simple way to make fresh corn tortillas. Fast, fresh, easy, and so worth it! 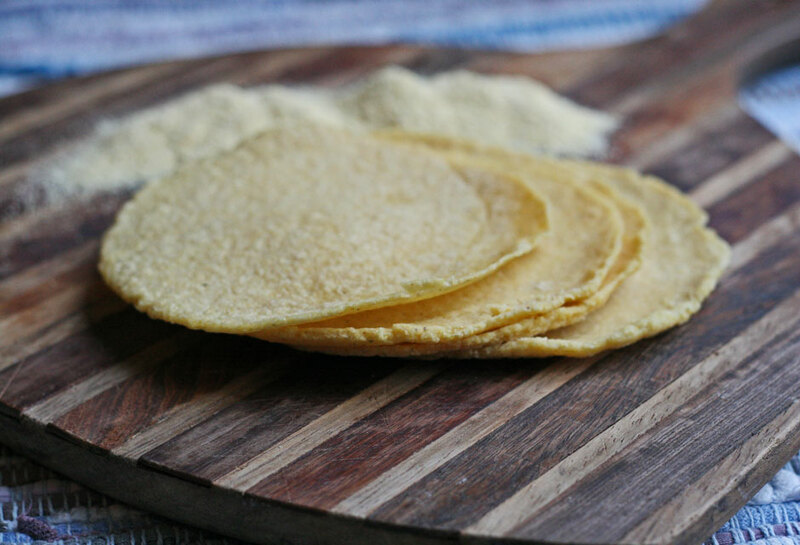 With as little as 3 ingredients, you can make yourself fresh yellow corn tortillas. Eat them with this healthful Black Bean Mango Bowl, Vegetable Tortilla Bake, or a snack with Queso Fresco. Note: I used a tortilla press to make the corn tortillas. 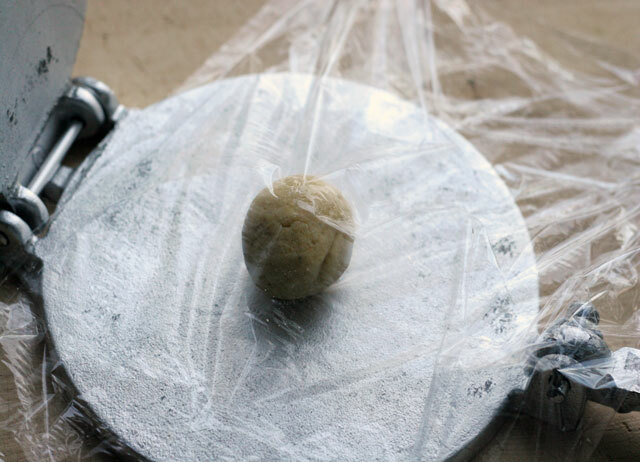 But you can make the 2 inch balls, and roll them out to 1/4-1/8 in ch thickness using a rolling pin if you do not have a tortilla press. 1. In a large bowl, add the masa harina, and salt. Whisk to combine. Add the warm water. Mix gently with your hands or a large spoon to combine. Do not over mix or the tortillas will be tough. Allow to rest covered for 30 minutes. 2. Form 2 inch balls, set aside. Using the tortilla press lined with plastic wrap for both top and bottom, or rolling pin, press/roll to 1/8-1/4 inch thick. 3. 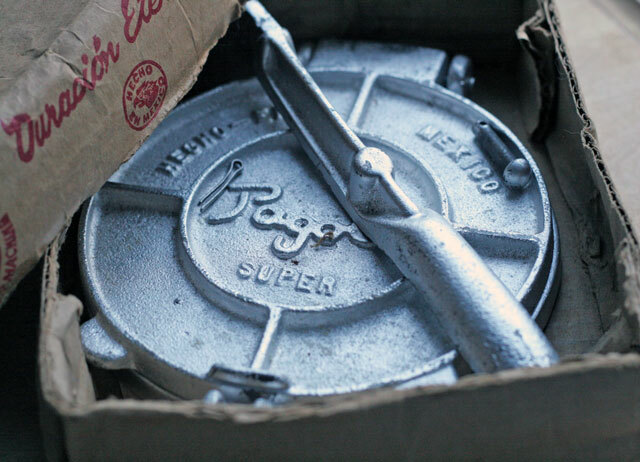 Using a large cast iron pan, tortilla pan, or skillet place over medium low heat. Cook each tortilla for 2-3 minutes on each side. 4. Serve warm in a tortilla warmer. Or once cooled, place in an air tight ziplock bag. Store on counter for up to one week, then place in fridge for up to one month. Alternately freeze for 3 months.